Fillies dominated the opening session of Sydney’s Classic Yearling Sale at Warwick Farm on Saturday night. Six lots sold for $300,000 or more and five were fillies. The sale average closed at $110,766 with the Gold Riband session averaging $150,581 compared to $160,000 last year. The overall clearance rate was only 70% and the average was down on the 2018 figure of $130,000 for the first session. Top lot of the night was a Snitzel x Racing Nadine filly offered by Bhima Stud purchased by Jadeskye Racing and Brad Widdup for $370,000. Widdup trains the filly’s unraced 2YO sister for Jadeskye’s Damion Flower. The dam Racing Nadine (Bernardini) is a half-sister to the dual G1 winner He’s No Pie Eater (Canny Lad). The second top lot was a Dissident x Sonnenblume filly purchased by Blandford Bloodstock in conjunction with Mongolian interests for $340,000. The filly’s I Am Invincible 2YO half brother Garibaldi has won his only start for Brisbane trainer Tony Gollan. He was the second-top lot at last year’s Classic Sale. Sonnemblume is a daughter of the G1 winner Shindig (Straight Strike), also the dam of G1 winner Shinzig (Danehill). Just hours after I Am Invincible’s star filly Fiesta won the $1 million sprint at Warwick Farm, Denise Martin’s Star Thoroughbreds in conjunction with Randwick Bloodstock paid $330,000 for an I Am Invincible x Limbo Down filly. 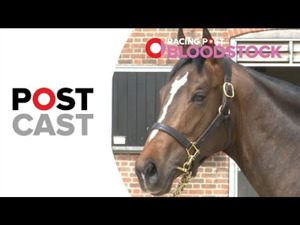 Martin bought Fiesta from the sale as a yearling in 2017. On Day 2 the top price rose to $400,000 when Yulong Investments Yuesheng Zhang paid $400,000 for a Star Witness x Defrock colt. Yulong has been a big investor in the Australian industry in recent years. Their involvement includes three properties, 130 broodmares and racehorses with a stallion complex under development. Yulong’s Australian manager Sam Fairgray bid for the Star Witness colt out of the Canny Lad mare Defrock, a sister to the G3 winner Blackball. The second-top lot on Day was a Stratum x Dayeala colt purchased by Domeland for $280,000.